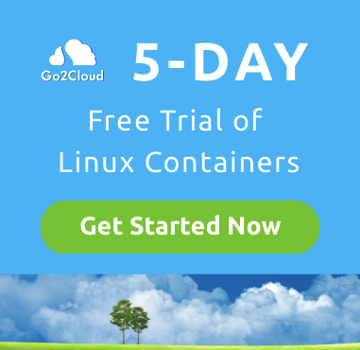 What are Linux Containers from Go2Cloud? Linux Containers are an operating-system-level virtualisation capability that allows for multiple instances of Linux systems to run on a single control host. The Linux kernel creates groupings of compute resources (CPU, memory, disk etc.) and therefore does not require any virtual machines to be started. As a result of this optimisation, Linux Containers can boot in just 2 seconds! Once running, the infrastructure becomes self managing and automatically scales up or down depending on load. 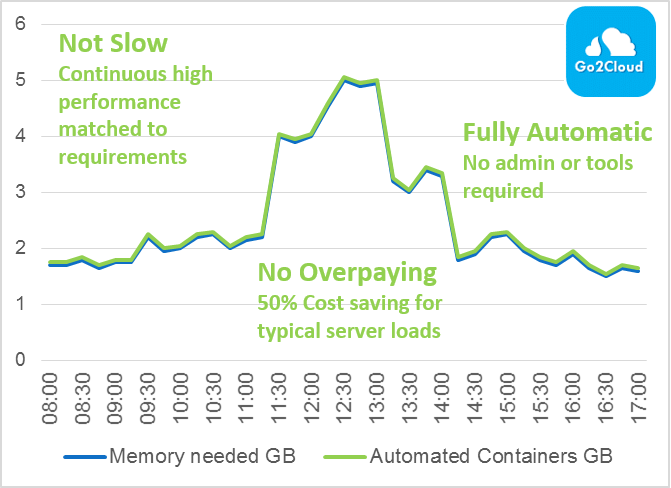 While you’re able to set minimum and maximum thresholds, Go2Cloud Containers have the ability to scale from 256MB to 64 GB of RAM based on real time demand on your server. Unlike other cloud servers, no reboot is required to resize the servers capability which means that the scaling is completely fluid. The self-managing infrastructure does not require complex administration or tools. Just turn your servers on and you’ll never have to worry about them again. 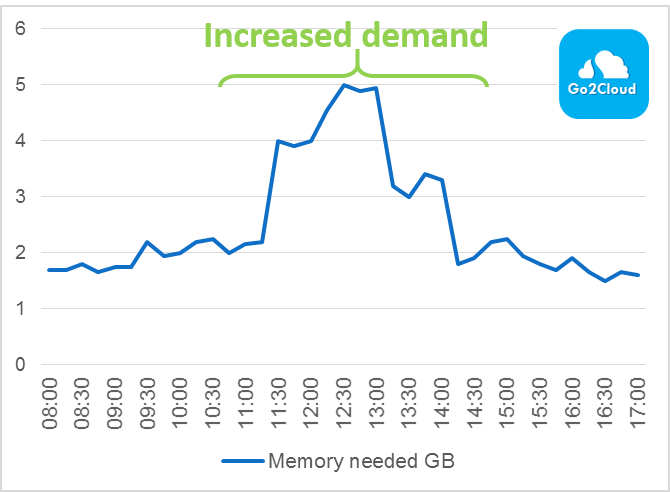 the cloud server runs slow when the demand exceeds what has been provisioned. 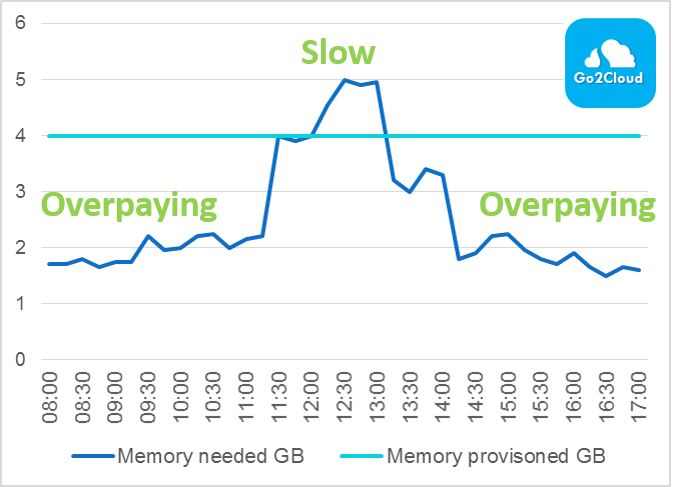 Overpayment – After the load spike finishes a delayed reaction reduces the cloud server resources provisioned. 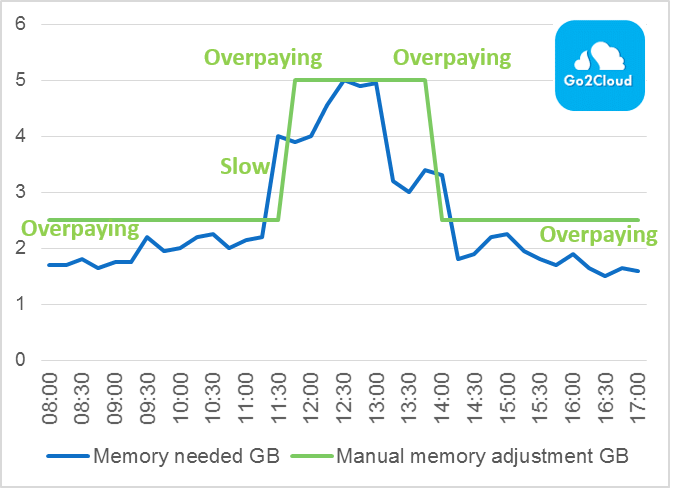 No Overpayment – Typically our customers experience a 50% cost saving for the average cloud server workload. Fully automated – No admin work or special tools are required by the server administrator. No complex tools or admin is required. Simply turn it on and never worry about it again.